The Epic is not effectively designed to handle large amounts of people yet furnish an intimate experience. Having previously sailed on the Breakaway, we were expecting a great experience. The Breakaway's design effectively makes 4000+ people seem like much less... ie no long lines for elevators, disembarkation, tenders, buffet, etc. There were seldom any crowd-like experiences on the Breakaway with plenty of deck space for all. The Epic's deck and open lounge space was marginal; the layout for open decks was limited to the area around the pools, behind the smoke stacks in the adult only area and both sides of deck 7. The jogging track was limited to one side of deck 7 and there was an oil smell in certain areas. The lifeboats block much of the view from deck 7 as well. 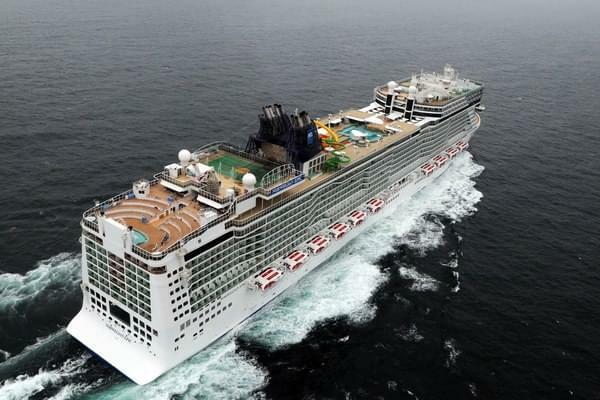 The Haven customers must have had the best experience as their space is the forward part of the ship - 4 decks worth!! The food was ok, the entertainment in the dining room - we saw the same show - 3 times!! Blue Man group was great as was legends... but it was not as if we could see a show or a different show every night of the cruise. The cruise director was there, but not very out there for the majority of the cruise. One experience that we had was that every one seemed to return from the island about 3pm ... and the only food to be found on the ship was at O'Sheehans (where we waited 1 hour to get served) and the hamburger bar on the pool deck. You would think there would be more late lunch options. Nothing to write home about - kinda boring. Not enough "big" choices for every night of the cruise. With the exception of the room steward, we had problems getting served. Odd cabin design but actually liked the separate head facilities. If you are looking for a comfortable, uncrowded experience, and are not a Haven customer do not spend your money on this boat. Great island that we plan on returning to at some point. Great island for shopping for the same stuff, but in different stores.